Looking for something with a little more grip on the end of your stik, cane or staff? Permanent Steel Tip Ferrules are an excellent choice for hiking or those winter months. 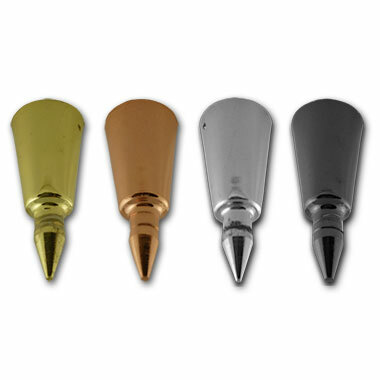 Permanently installed Norweigen steel ferrules are then plated in brass, black chrome, copper or nickel. Offered from 18mm to 26mm (1") diameters. The tips below will fit these perfectly! Want to put it on yourself? 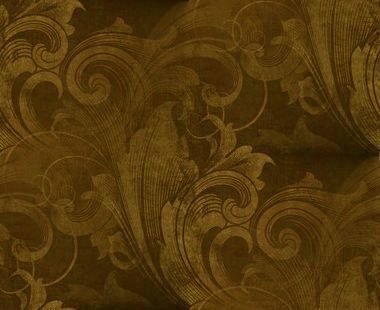 You can find installation instructions on our Support page. Ferrules start as low as $9.95... and includes FREE USA Packaging & Priority Mail Shipping if shipped with a Stik Order. Ferrule Rubber Tips are offered as a Floor Protector and Heavy Duty for walking when the steel tip is not needed or to protect that beautiful floor when storing your stik. 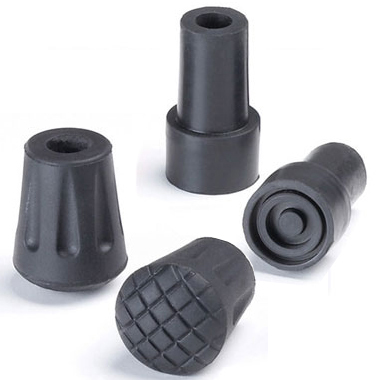 As with all of our rubber tips they have steel reinforced inserts to prevent puncturing in black only. Offered for ferrules with a 3/8" diameter tips which all of our ferrules have. Ferrule Rubber Tips start as low as $3.00... and includes FREE USA Packaging & Priority Mail Shipping if shipped with a Stik Order.